Imagine being introduced to the internet for the first time and realizing its amazing capabilities. 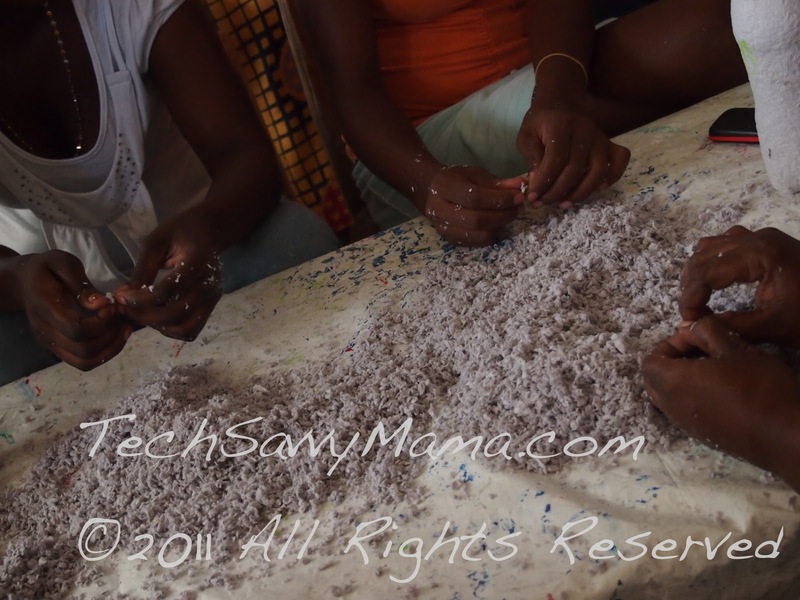 That’s what we were able to provide to the women of Dam Dam Haiti during our visit. 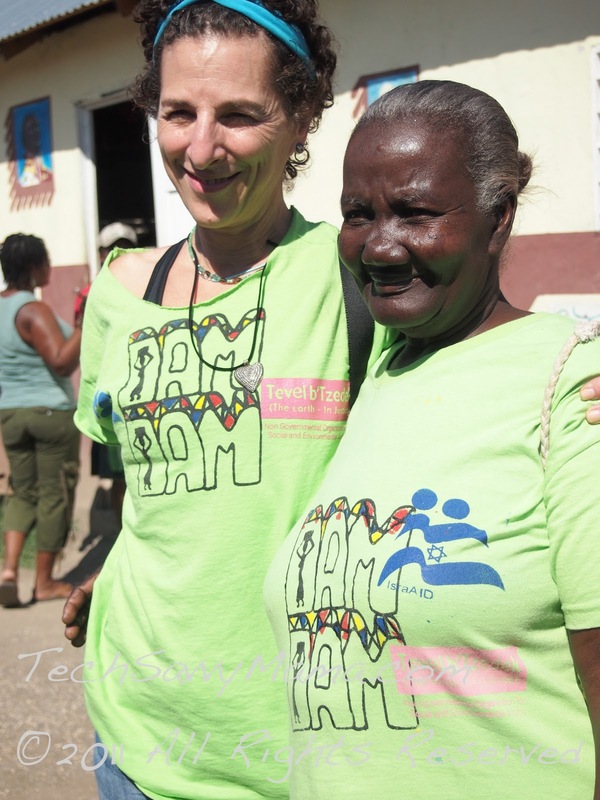 Dam Dam is the name of a cooperative made up of 60 ladies who reside in Leogane, a countryside town an hour outside Port au Prince that was the epicenter of the Haiti earthquake. 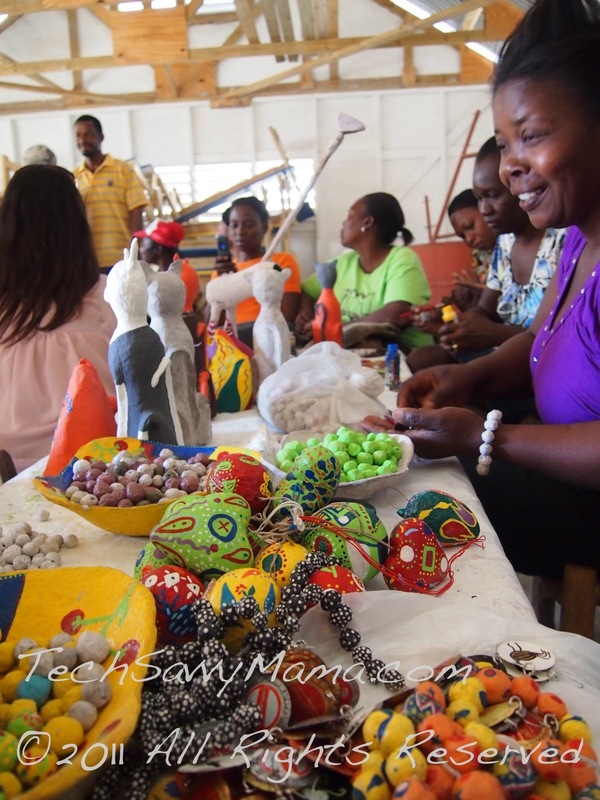 Dam Dam Haiti comes together- 20 women at a time- to create paper máche crafts out of recycled materials. They sit around low tables in one of the rooms in a 3 room school house to massage moistened paper, paint, and talk. When we visited Dam Dam the women were as curious about us as we were about them. They wanted to hear who we were, what we did, and about our children but also wanted to know the purpose of our visit. We shared that we wanted to share our perspective on Haiti with our readers through our blogs. This sparked their curiosity. They wanted to hear more about blogging and sharing through social media tools that we don’t think twice about using because they are ingrained in our daily work. On a whim, Nadia brought her computer into the school room where Dam Dam was assembled. Sitting in a child size chair with 20 women crowded around her, she showed them her blog. Even the women who seemed mildly interested in our visit came over, mesmerized by the content on the little screen. It was an incredible sight to see! Dam Dam recognized blogs as a way to share their work with the world and wanted to know how they could get a computer to do what we do. They also loved us taking their photos since it allowed them to see a picture of themselves! The community manager, Jean, is a natural marketer and savvy computer user who has already set up a Facebook page, Twitter account, and is investigating setting up a WordPress blog, MySpace page and Pinterest boards for the group. Through our conversation with Dam Dam and Jean, I realized that I found the perfect recipient for a hot pink Asus netbook that is designated for donation. I’ve struggled to find the right person, or organization, to donate it to because I wanted it to be truly useful through it’s purpose. It didn’t take me long to realize that the pink netbook was destined to be with Dam Dam. The screen may be small but the women are very excited that it is hot pink. Jean plans to take the women to the internet café in town to show them the group’s Facebook page and Twitter. With his leadership, I know that he is a tech savvy individual who can teach the women about how to share their stories of their artwork online. The netbook will is already packed up on its way to New York where it will be hand carried to Dam Dam the following week during another trip to Haiti. Jean has already friended me on Facebook and followed me on Twitter. I have no doubt that he will be a wonderful teacher! It’s wonderful to know that Dam Dam has such a motivated individual who is already taking charge of their online presence and can serve as their teacher because without the proper training, the technology is useless. picture of her! Some things are universal! Giving Dam Dam a computer is no different to providing a child with a computer. Computers, along with knowledge about how to use them and properly navigate the internet, are essential skills that need to be taught gradually. Starting small allows for beginners to fully form understanding that will allow them to build upon their knowledge that represents empowerment. Dam Dam asked if they could comment on our blogs in Creole and it is something that I would welcome since their comments demonstrate a developing proficiency in the use of technology and would be a wonderful way to keep in touch with this inspirational group. I am already looking forward to getting my first comment in Creole! The majority of this trip was personally funded but I did receive a scholarship from Everywhere to help me defray some of my travel costs. Asus Netbook was provided by Asus for donation but I personally paid for shipping it to NYC. 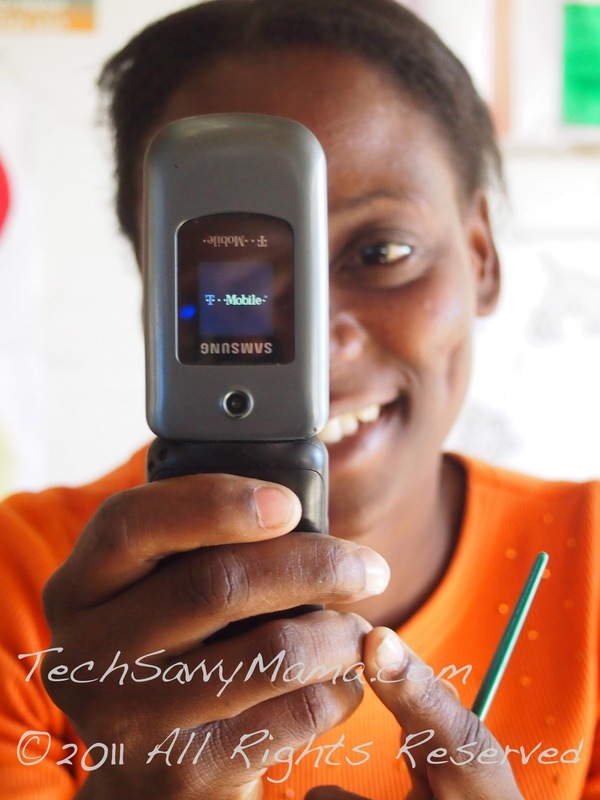 Thanks to HP, Snapfish, and The Mother Company for donating products to share with the people of Haiti and T-Mobile for lending me devices to document it. All opinions are my own and based on my experience. Thanks for reading Tech Savvy Mama through your feed! So amazing! What an inspiration they are! I am so moved by what these ladies are accomplishing. Thank you for the blog, Leticia and for donating the laptop to such deserving recipients. Wow! 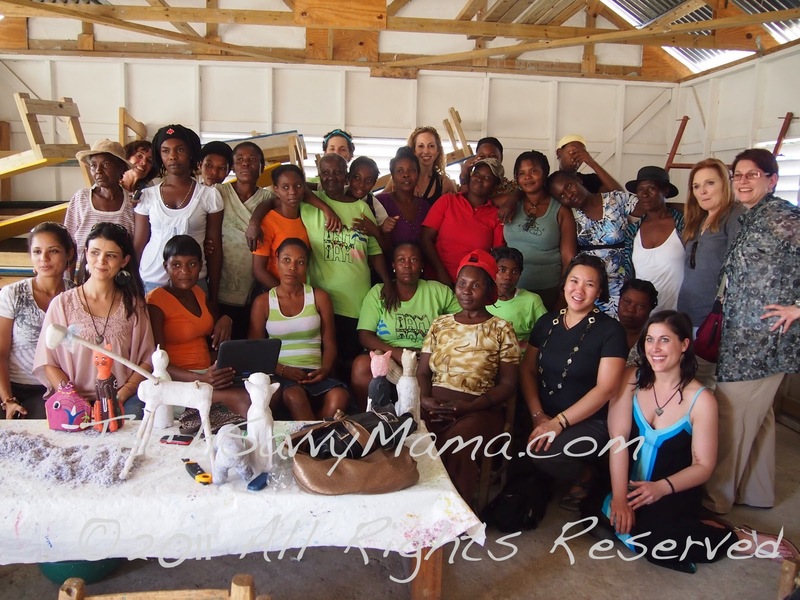 What a fantastic experience – for you and the women of Dam Dam! So glad you donated to them. Check me out across my social media channels for examples of how I can help amplify your company's brand, product, or cause!